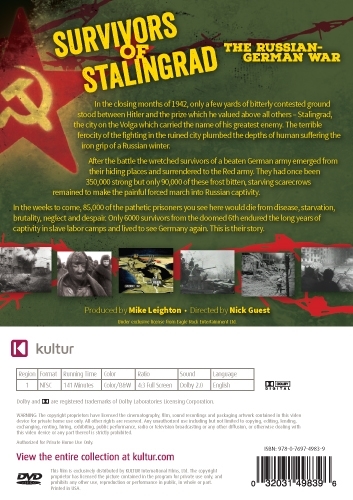 In the closing months of 1942, only a few yards of bitterly contested ground stood between Hitler and the prize which he valued above all others-Stalingrad, the city on the Volga which carried the name of his greatest enemy. 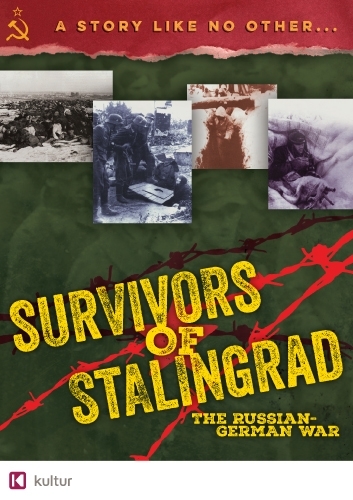 The terrible ferocity of the fighting in the ruined city plumbed the depths of human suffering the iron grip of a Russian winter. 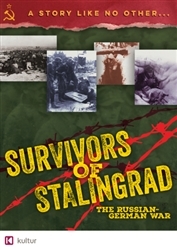 After the battle the wretched survivors of a beaten German army emerged from their hiding places and surrendered to the Red army. In the weeks to come, 85,00 of the pathetic prisoners you see here would die from disease, starvation, brutality, neglect and despair. Only 6000 survivors from the doomed 6th endured the long years of captivity in slave labor camps and lived to see Germany again. This is their story.